A view from the balcony. 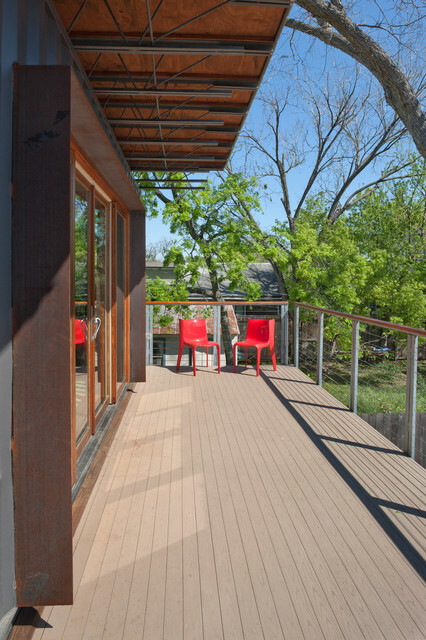 The 24'x8' deck serves as a usable visual extension of the narrow living area. A serene space to enjoy the beautiful and quite Heights Historic District.